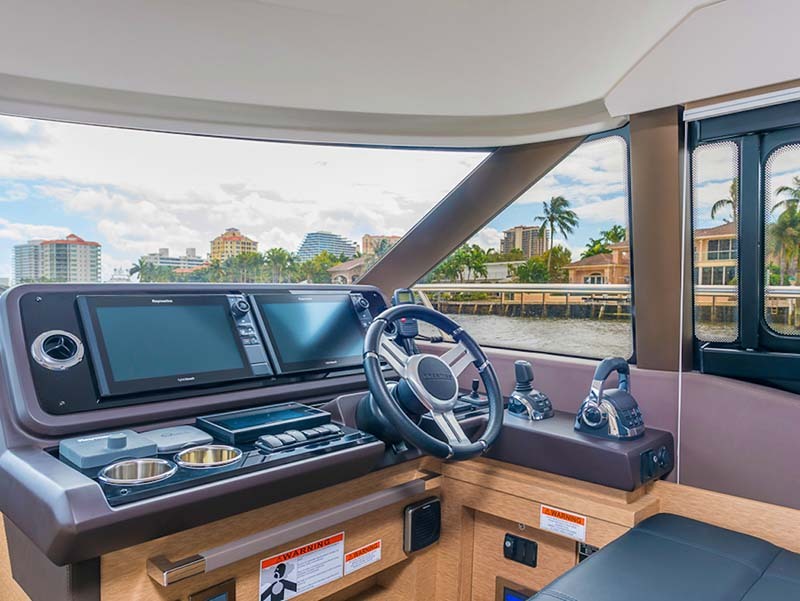 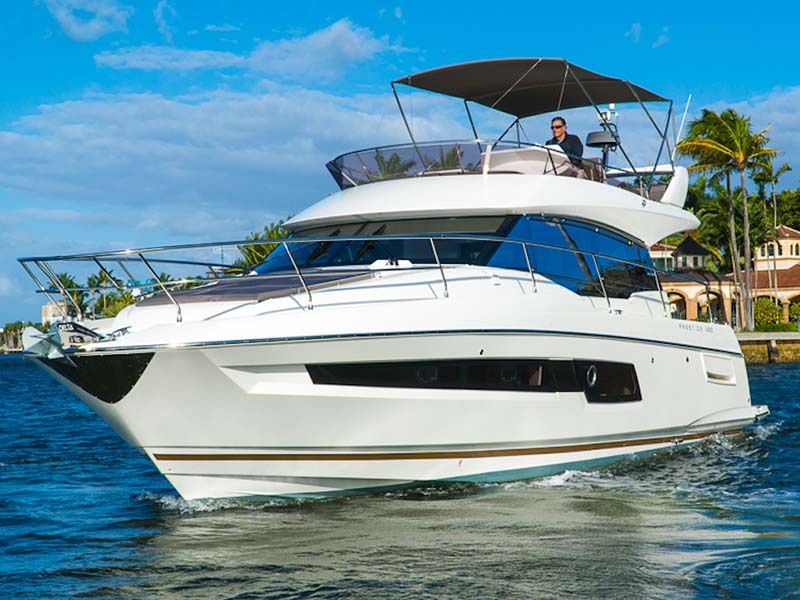 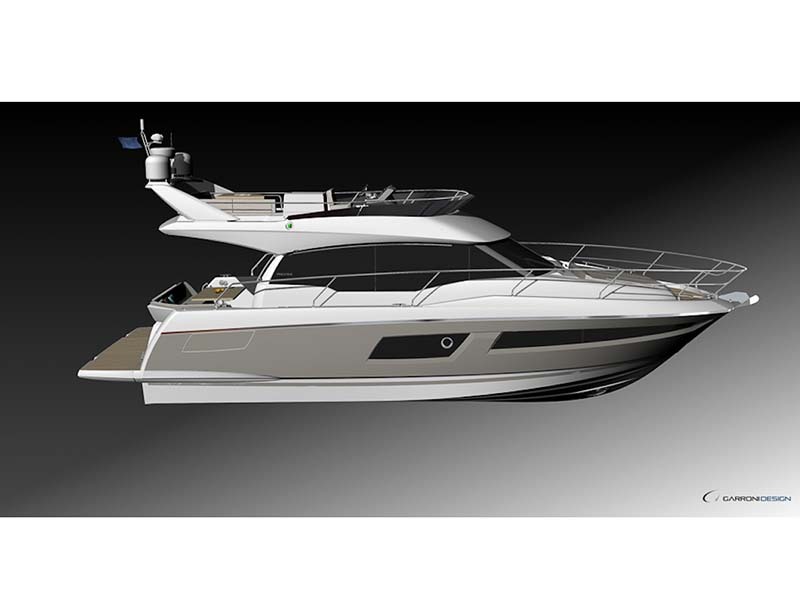 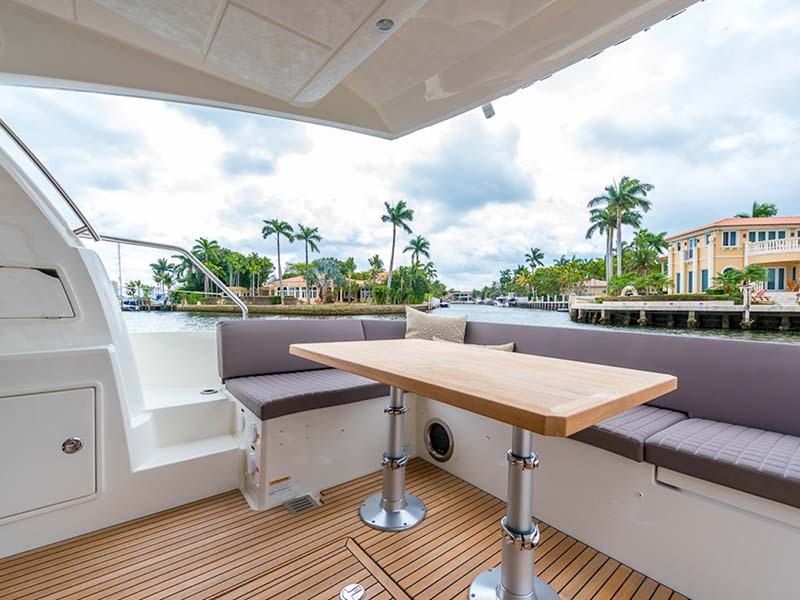 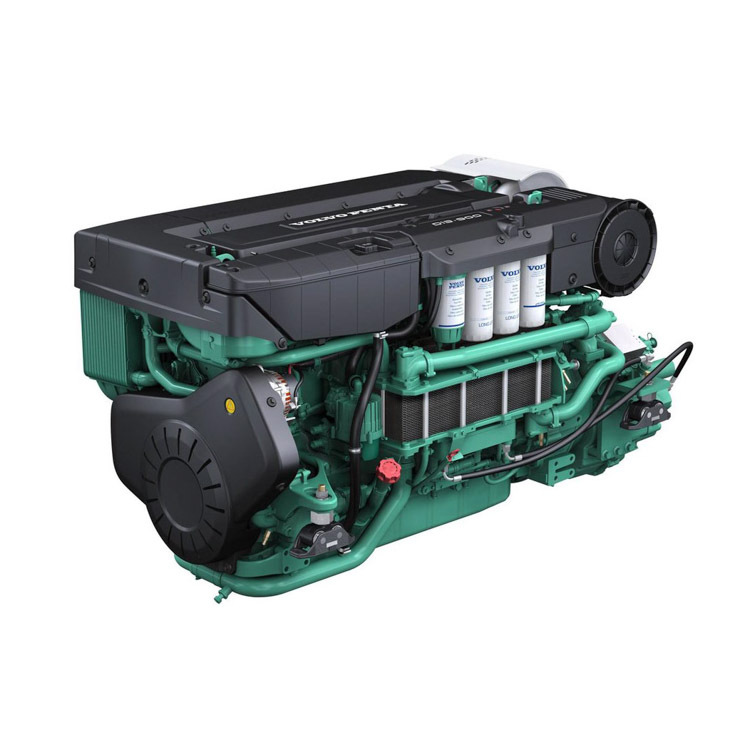 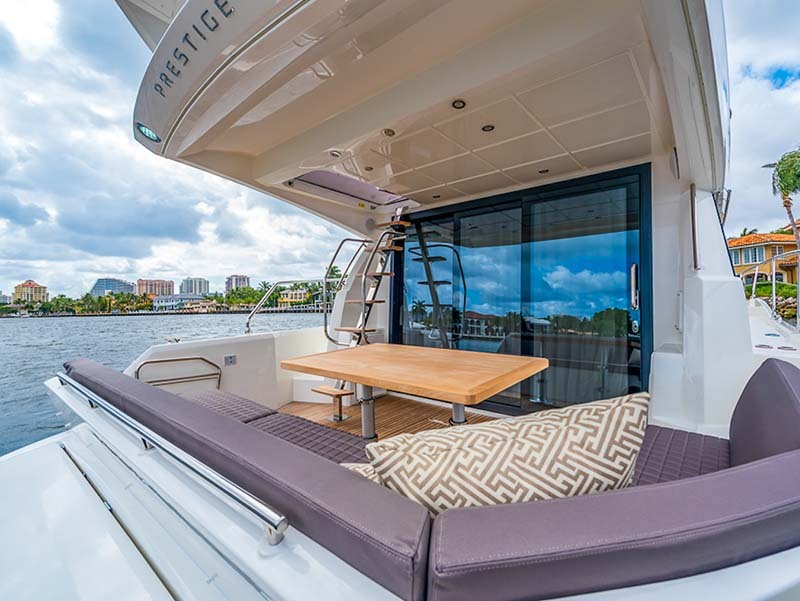 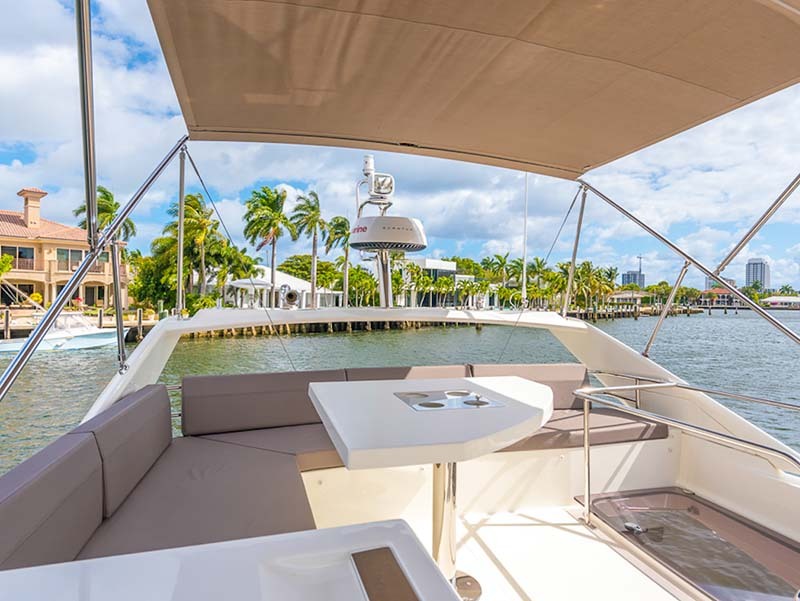 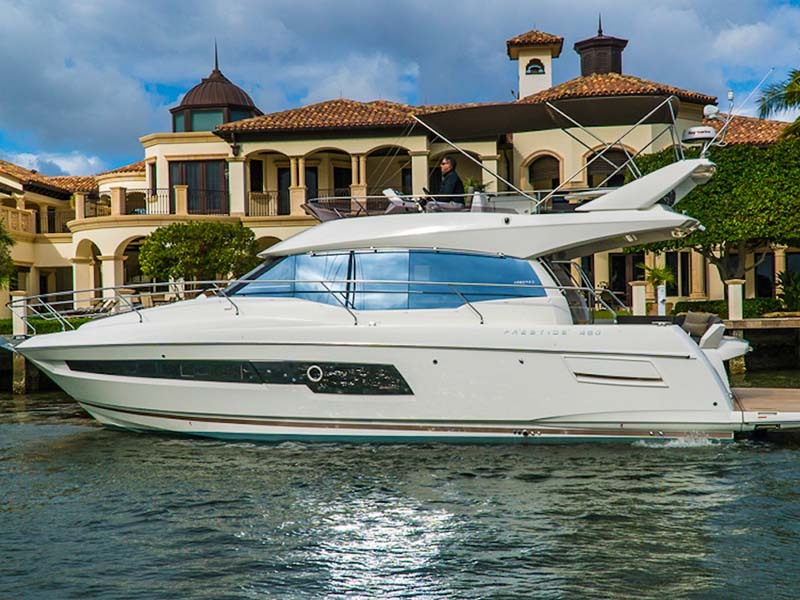 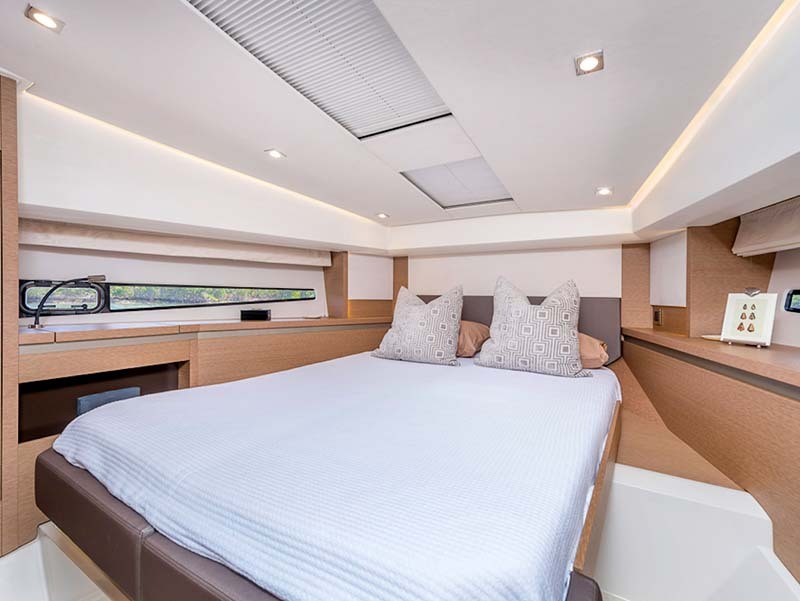 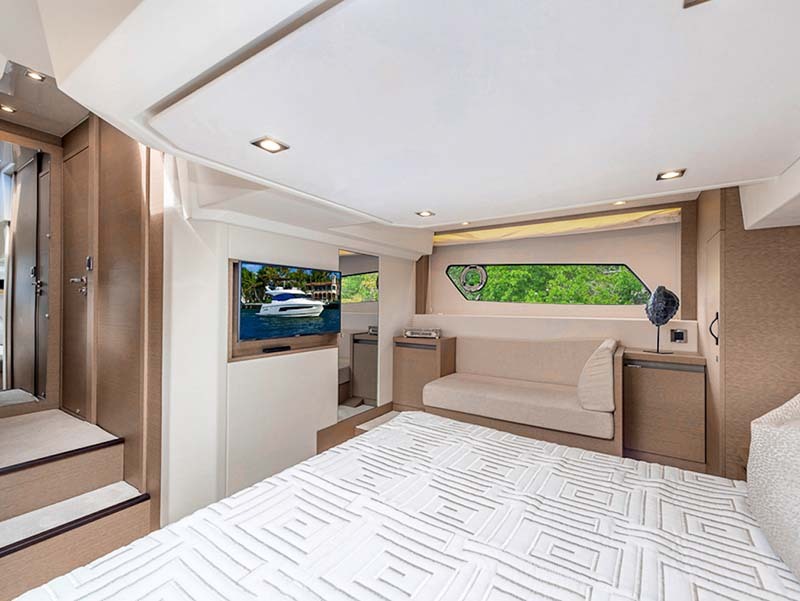 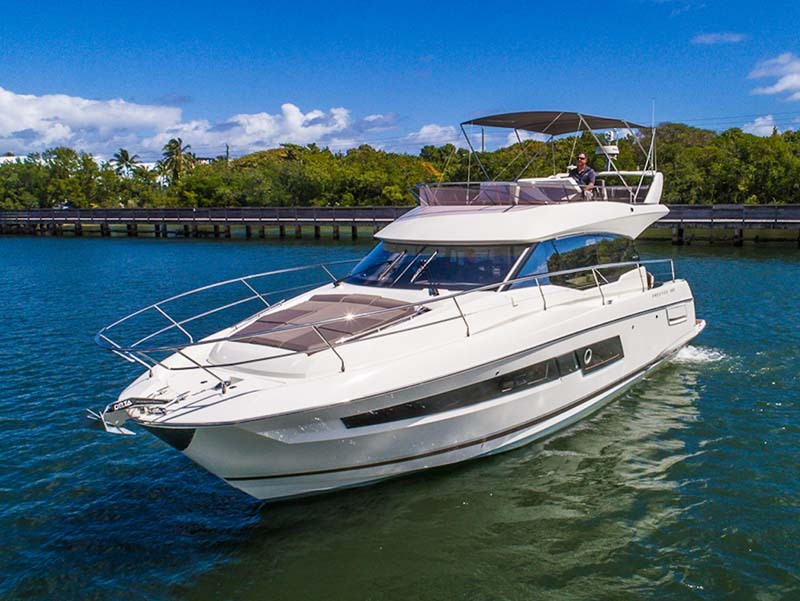 The PRESTIGE 460 Flybridge is inviting and comfortable. 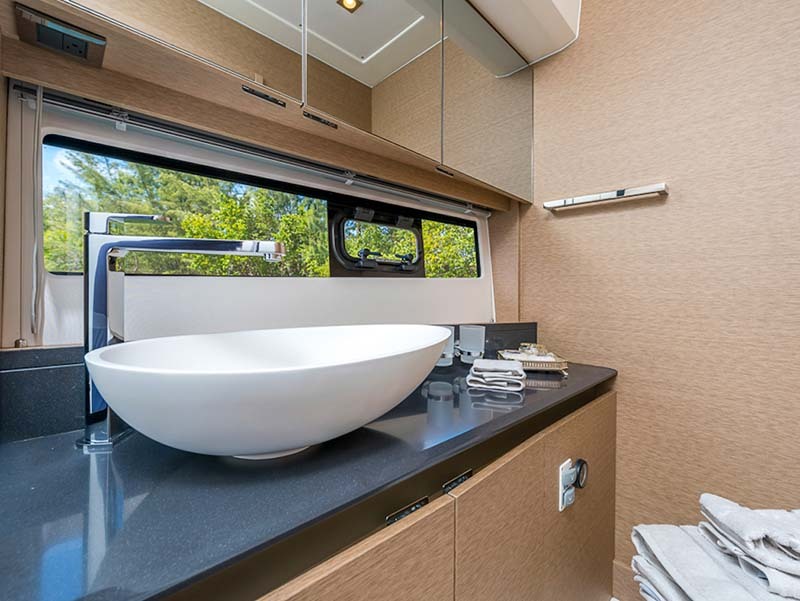 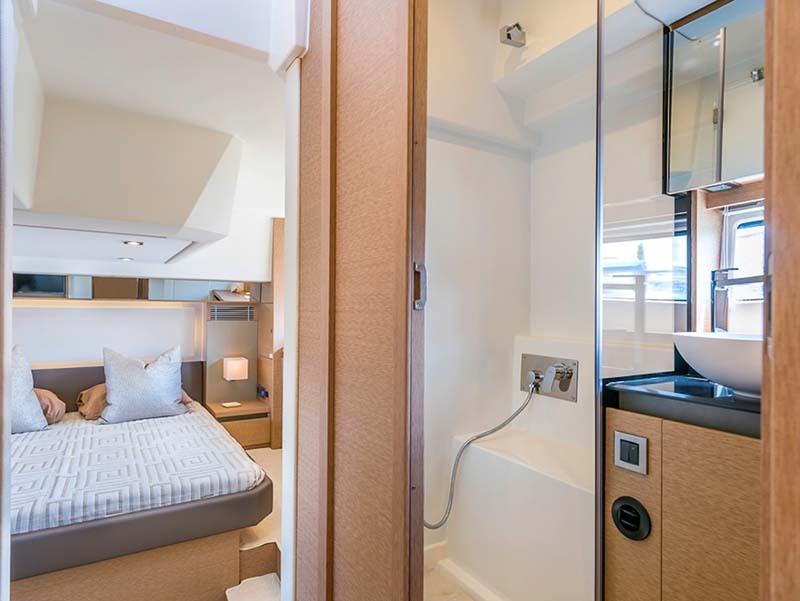 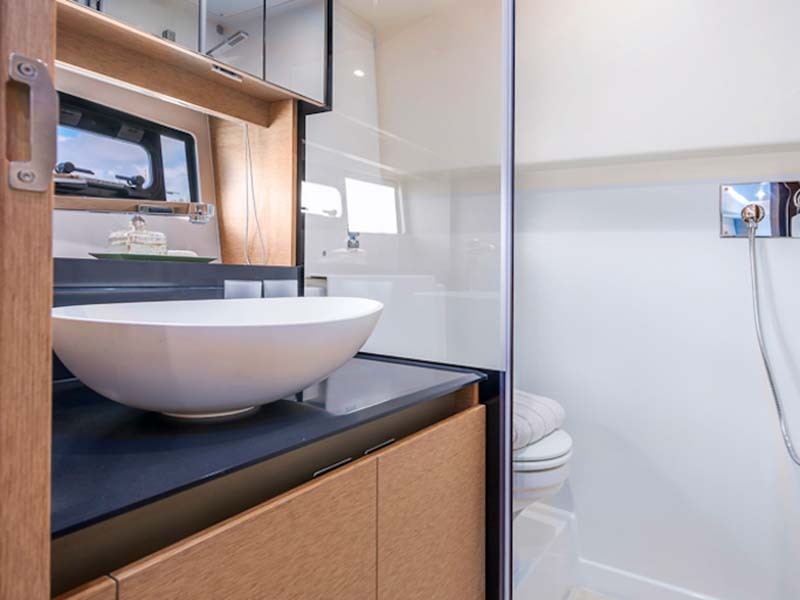 Featuring a variety of amenities to accommodate extended stays on the water, the full beam owner’s suite with private en-suite head and a double stateroom forward are complimented by large storage areas and generous headroom throughout. 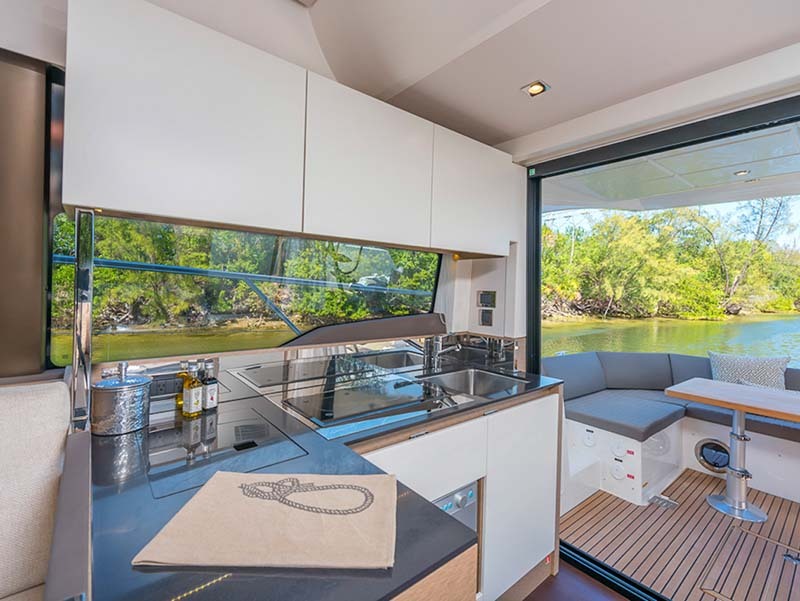 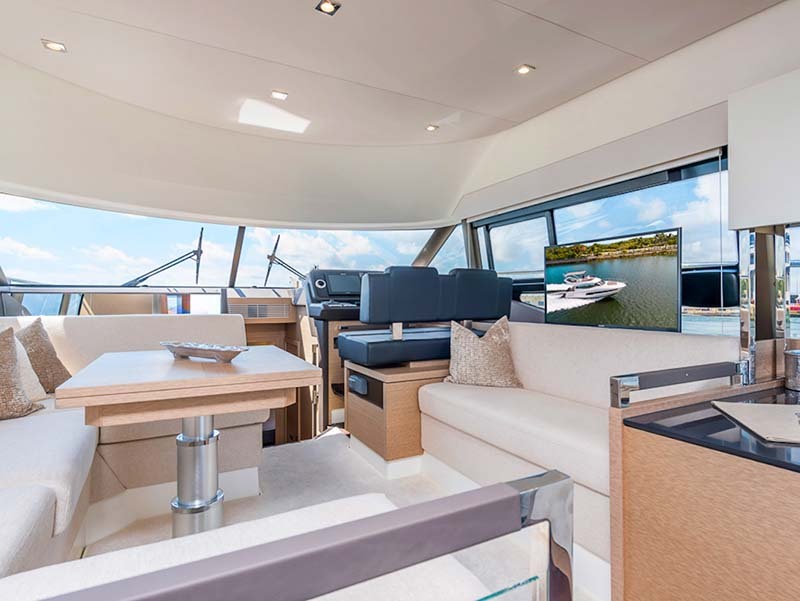 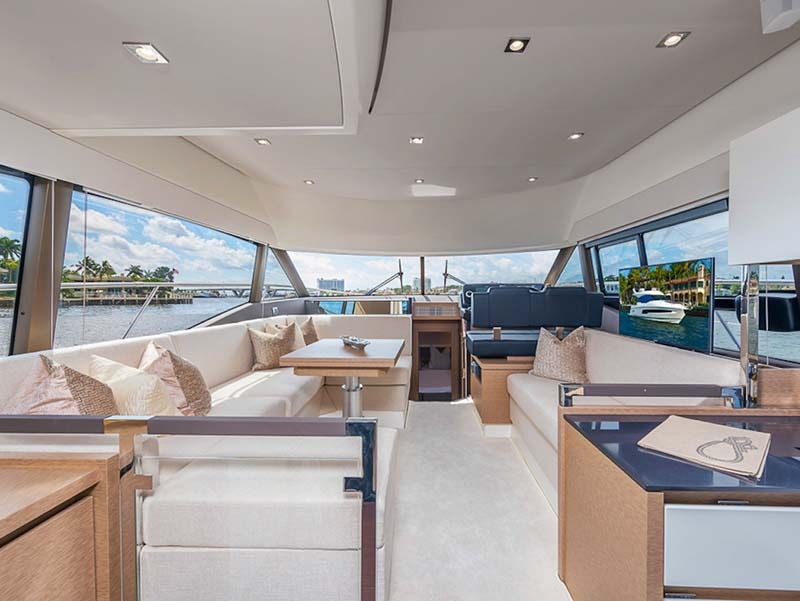 Large elongated windows that follow the curvature of the hull infuse the lower deck with bright natural light. 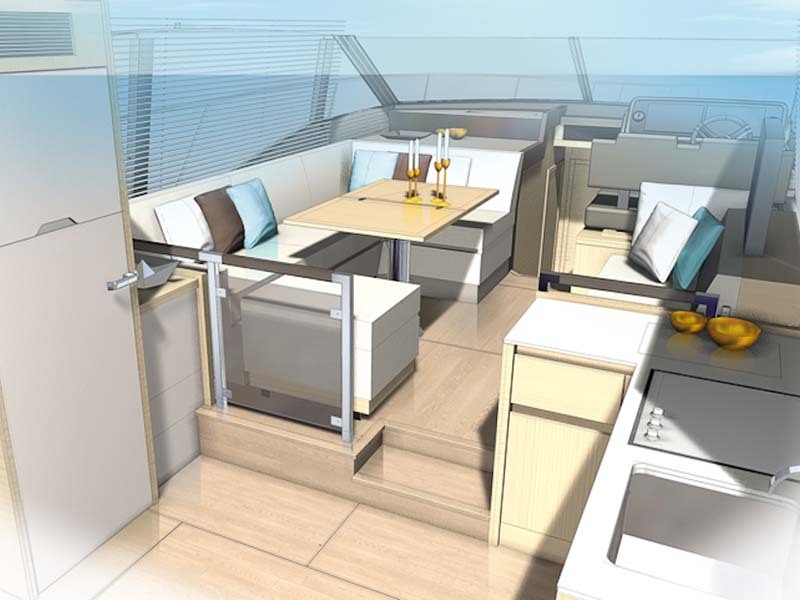 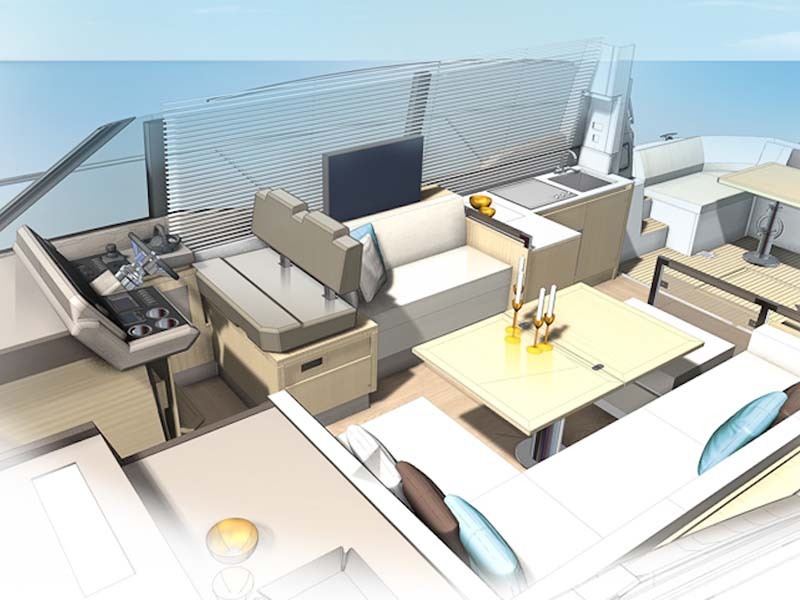 Family and guests will equally enjoy how the spacious and open design of the upper deck flows through the salon into the galley and onto the cockpit. 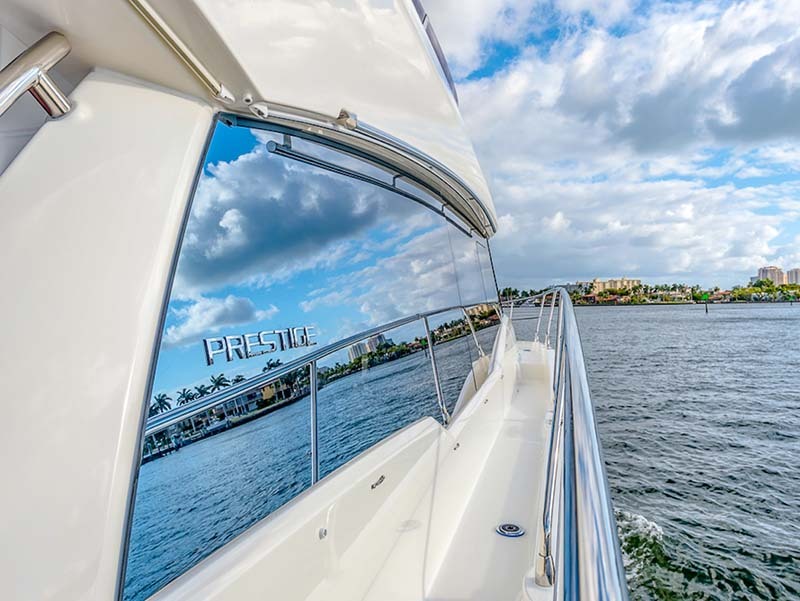 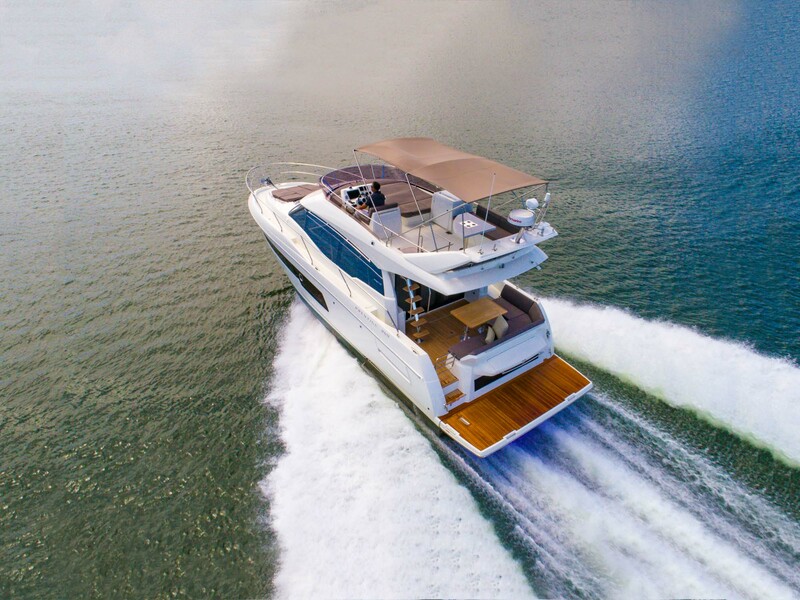 Styled by skilled specialists in marine industrial design, Prestige Yachts combines exceptional performance with stunning design and quality materials, contributing the perfect balance between performance and luxury.